We’ve left the frigid cold of NY expecting to find the same in Salt Lake City. Only we were met instead with balmy temperatures for the second mid-winter trip in a row. I’m not complaining. But it makes me think about the one item that is on my list to buy for spring and summer: the caftan. 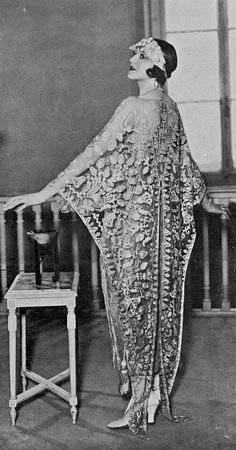 Last year, I found the most amazing caftan that I wanted to buy to wear to the Jazz Age Lawn Party. I just couldn’t pull the trigger on an expensive vintage piece made of a delicate, light seafoam blue silk, especially since I envision the caftan as primarily being lounge clothes. Caftans range from sheer beach coverups, soft linen loungewear, to embellished evening gowns. Saks and Neiman Marcus both have great selections at all points on the spectrum. If money were no object, I’d buy this one for lounging and this one for hosting a fancy dinner party. Just call me Patricia Altschul and ring the butler for my martini.